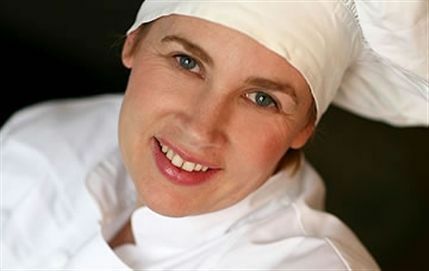 Following Angela Hartnett's departure from The Connaught hotel in Mayfair in 2007 the restaurant reopened the following year with Helene Darroze as the two Michelin-starred Executive Chef. Great ingredients, often sourced from small producers, are the secret to a relentlessly inventive menu packed with star dishes which centre around fish, foie gras, pigeon, and beef. The menu is either a five, seven or 13 dish affair and you make your choices by selecting marbles. The sommelier is very knowledgeable and will happily recommend wine pairings and, if you're lucky, show you around the underground wine cellar. The atmosphere in the 64-seat restaurant is formal and serious without being stuffy and, like the hotel's stylish Coburg Bar, the design is by Parisian designer India Mahdavi. The lunch/pre-theatre menu is particularly good value, the tasting menu may be expensive but it's worth it for a once-in-a-lifetime experience. Helene Darroze at The Connaught gyms, sporting activities, health & beauty and fitness. The best pubs near London Helene Darroze at The Connaught. Helene Darroze at The Connaught clubs, bars, cabaret nights, casinos and interesting nightlife. Where to have your meeting, conference, exhibition, private dining or training course near Helene Darroze at The Connaught. From cheap budget hotels to luxury 5 star suites see our special offers for Helene Darroze at The Connaught hotels, including The Beaumont Hotel from 86% off.